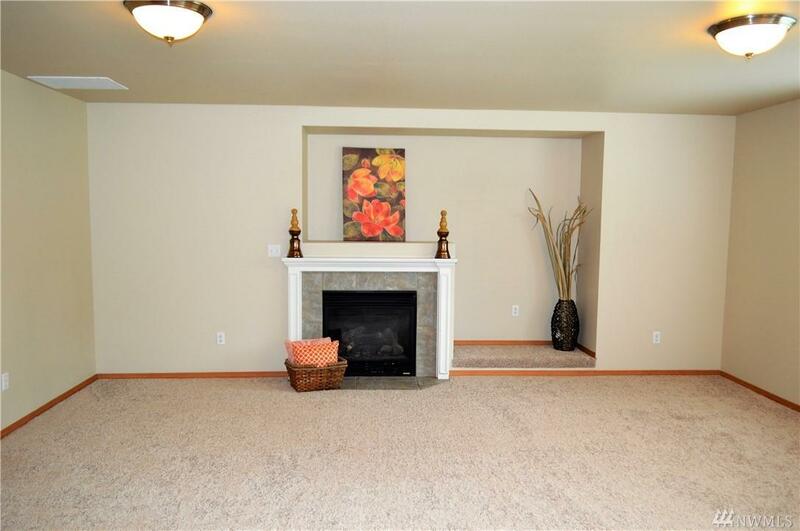 Beautiful move in ready, located in desirable Yelm Terra community, giving 3 private parks and close to schools. 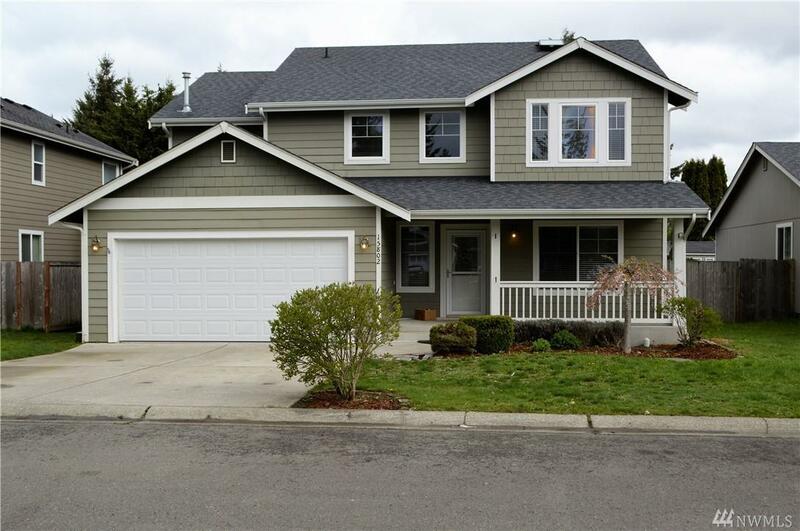 This 4 bdrm, 2.5 bath home gives you 2224 sqft of open living space w/formal living and dining w/new carpet throughout, freshly painted, fenced backyard, laundry upstairs, kitchen w/eating space + SS appliances, full tile backsplash, large master suite w/5pc bath. 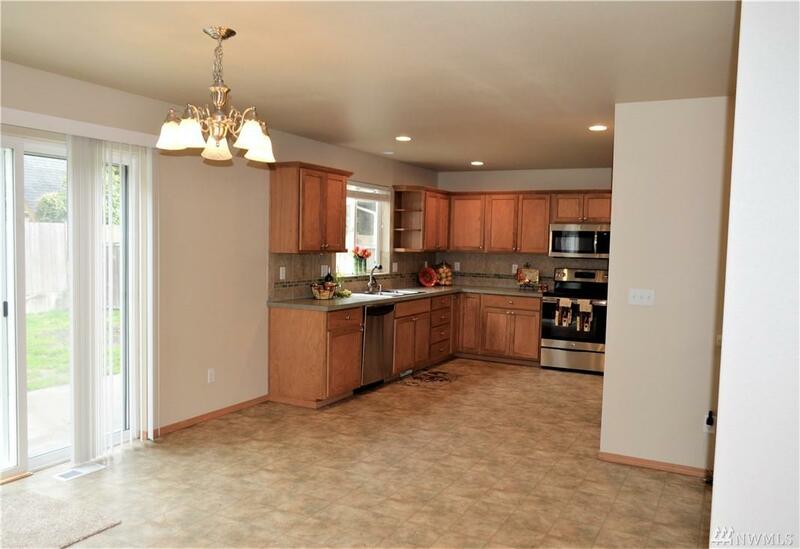 Home offers central A/C and sprinkler system for those hot summer days! 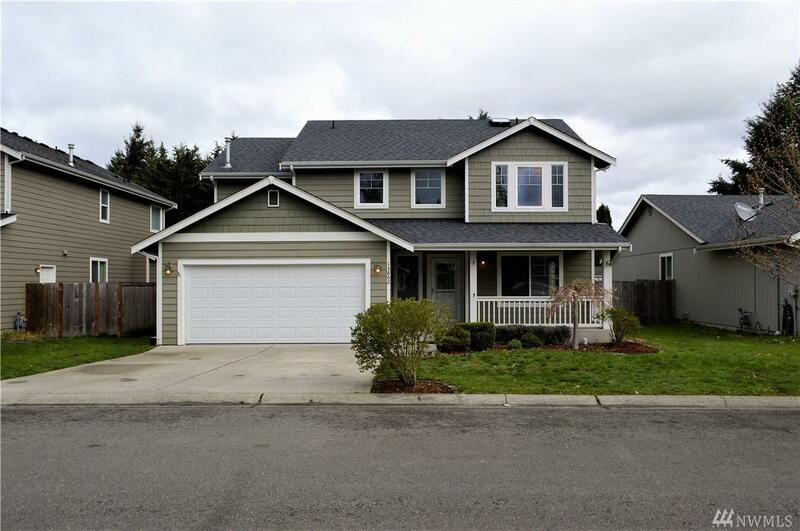 Easy commute to JBLM!